A list of Chinese animals. 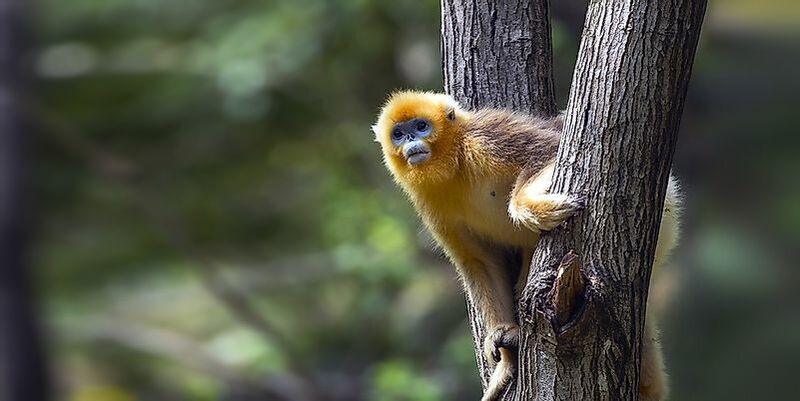 The Golden snub-nosed monkey is only found in southwest and central China. China has a very large landscape which is home to a great variety of wildlife. The diversity in the wildlife of China includes 562 mammal, 346 amphibia, 4936 fish, and 403 reptile species. China has the third largest number of mammals in the world. 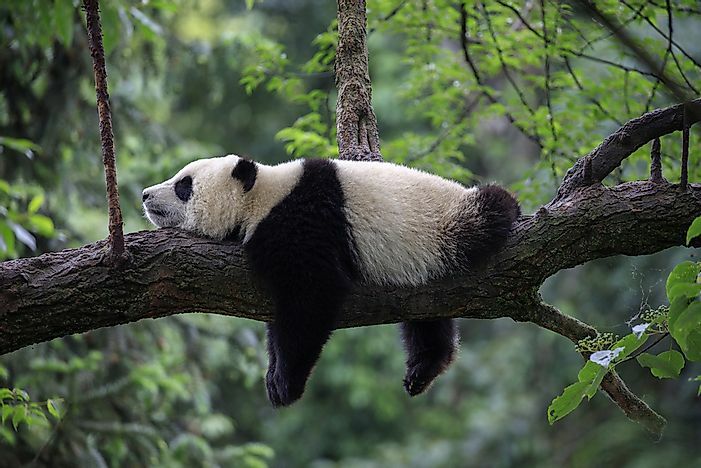 Animals such as the giant panda are endemic to China. 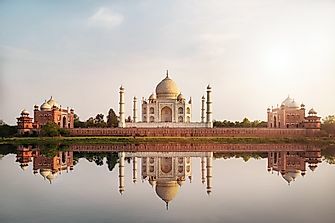 Some of the animals that are native to China include the Asian elephant, sable, dugong, Pallas cat, North China leopard, binturong, clouded leopard, Tibetan macaque, golden snub-nosed monkey, and the giant panda. The elephant is the largest land animal on earth. However, the Asian elephant is slightly smaller than the African elephant. They can be differentiated from the African elephant by their smaller rounded ears. Their ears help in cooling their body through radiation. The Asian elephant showers by sucking water with their trunk then spraying their body. The elephant uses its trunk for drinking, grabbing, breathing, and smelling. Their main meals are bark, grass, roots, and fruits. 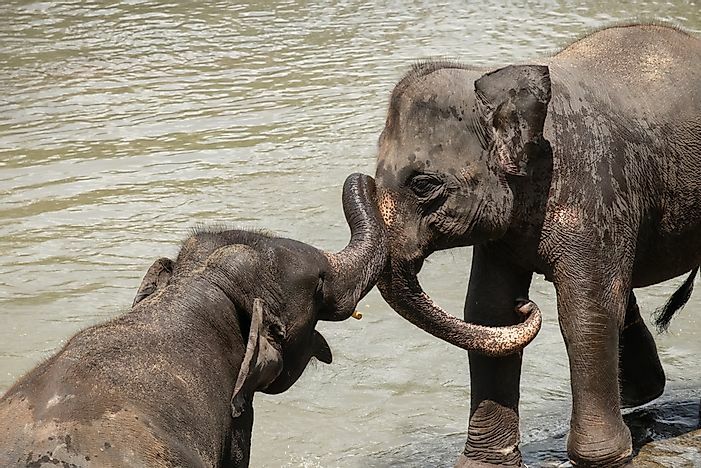 Then female Asian elephants live with their young ones in family herds while their male counterparts roam freely. Their pregnancy takes a total of twenty-two months. One interesting thing about the Asian elephants is that they can be domesticated. They help in activities such as falling trees and carrying humans. 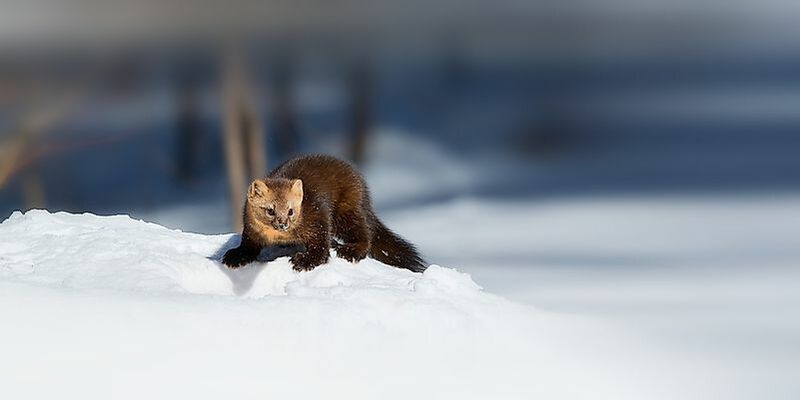 The sable is mainly found in the northern parts of Mongolian mountains in China. The sable is a weasel-like creature. 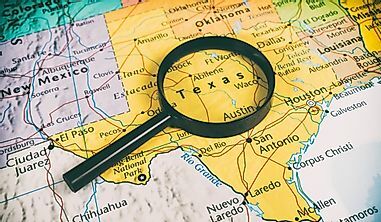 It weighs between two to five pounds and has a length of between 15-20 inches. The sable feeds on meat. Its other family members include; mink, badgers, otters, and ferrets. Their body color ranges from brown to a dark color that is almost black. They have patches on their neck that has a salmon color. The sable uses the sense of smell and hearing for hunting. They are therefore very stealthy for successful hunting. They feed on birds, small mammals, and fish. Sables enjoy living in temperate forests. The dugong is found in the warm coastal waters of the Pacific Ocean. They are quite big, and they are vegetarians. Dugongs have very similar behavior and appearance to the manatees. The major feature that differentiates them is the dugong’s tail that is fluked like the one of a whale. Scientific studies show that they are related to the elephant despite not having similar appearance or behavior. Dugongs mainly feed on underwater grass. They can go up to six minutes in water. Dugongs can be spotted alone, in pairs, or in large herds. 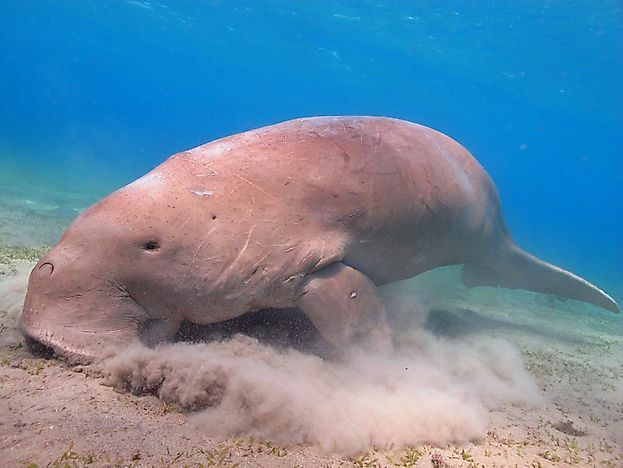 The pregnancy of a dugong is 12 months. 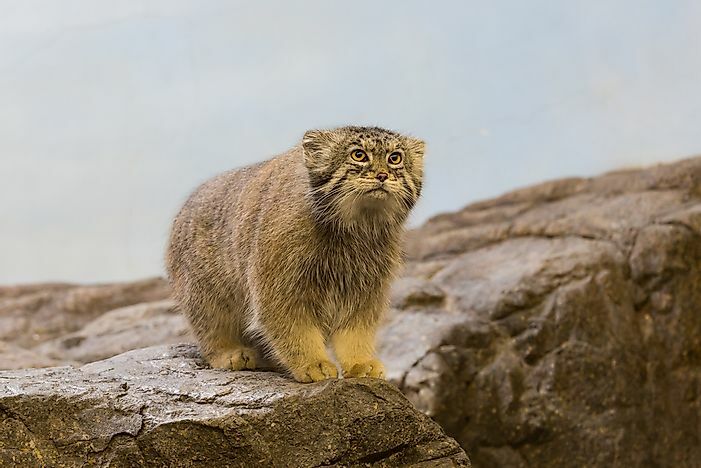 The Pallas cat is almost the size of a domestic cat. However, it looks bigger since it is long and built, and has a dense coat. 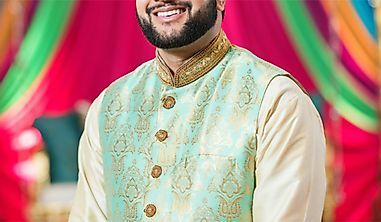 The coat keeps it warm in the cold and changes color depending on the season. During spring, the fur turns fox-red while in winter it turns grey. Their body hair becomes longer and heavier during the cold season. The length of their body ranges from 50 to 60 centimeters. They weigh 2.5-5.0 kilograms. The male Pallas cat is heavier than their female counterparts. Their large eyes with a big forehead make them display a flat face. The North Chinese Leopard is one of the world's Big Cats. 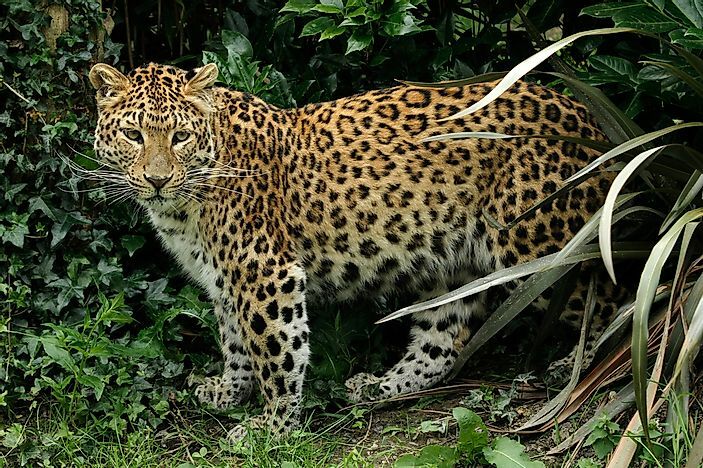 Despite being known as the North China Leopard, some are found in Russia. They are listed as Critically Endangered with less than 100 individuals seen in the wild. They are often found in elevated forests and are well adapted to cold temperatures. They display a shorter cream-colored coat in the summer and a longer golden or yellowish-red coat in the winter. The coat has black rosettes year round. 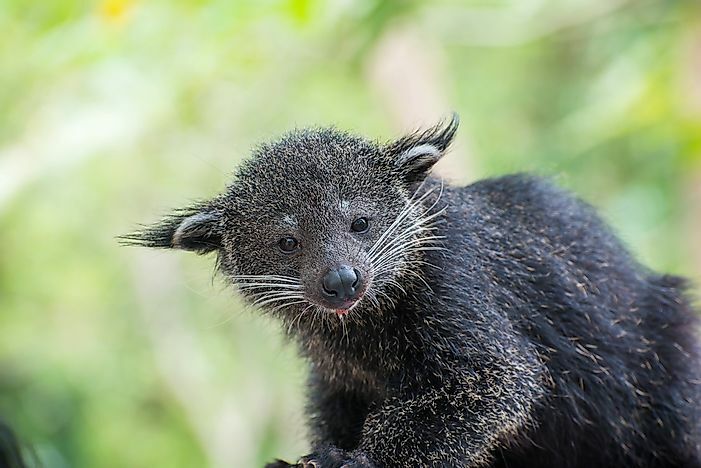 The Binturong is scientifically known as Arctictis binturong. Their lifespan differs; the male binturong have an average lifespan of 18.8 years while their female counterparts have an average lifespan of 15.6 years. Their gestation period ranges between 84 and 92 days. The binturong weighs about 142 kilograms at birth and about 20 kilograms at maturity. They mature after three years. Their tail of between 50 and 85 centimeters elongates their body length that ranges between 60 and 90 centimeters. Their body color ranges from black to brown silver or white on the tips. These colors give the binturong a grizzled appearance. 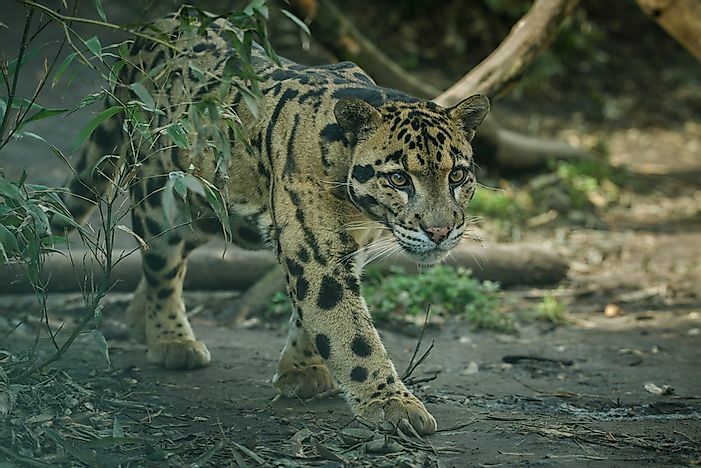 The clouded leopard is scientifically known as Neofelis nebulosi or Neofelis diardi. This leopard has a lifespan of about 13 years. Their gestation period ranges between 86 and 95 days depending on the species. The young ones weigh about 170 grams at birth. They take about 25 months to mature. The clouded leopard is between 68 and 105 centimeters long. Their tail that is about 70 centimeters long elongates their body. The males are heavier than the females. The male clouded leopard has an average weight of 23 kilograms while the females weigh about 12 kilograms. Clouded leopards are very good at swimming. 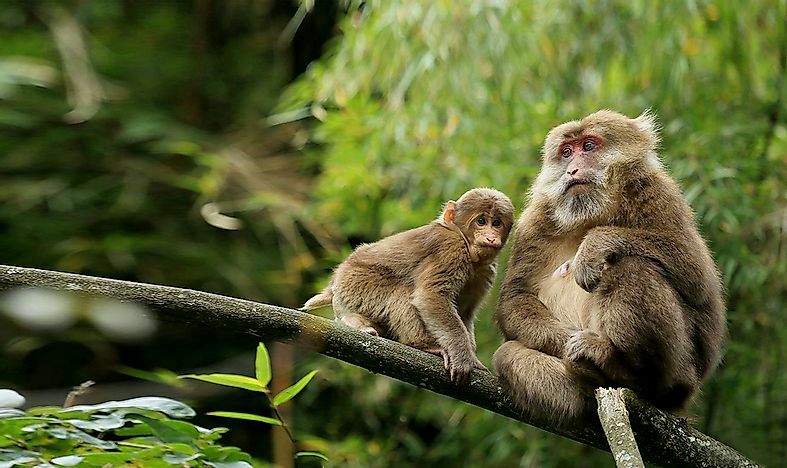 The Tibetan Macaque is also known as Stump-tailed or Pere David’s Macaque or the Short-tailed Tibetan Macaque. They are the largest species of macaque. Their thick fur is quite long. The fur is very dense on their head and around their ears. The coat is warm protecting them from cold during the winter season. A few Tibetans are black while others are greyish brown. Young macaques have a darker fur with a silver tinge. Their eyelids are light-colored. They have a large cheek with a muzzle that is hairless. The females can be differentiated from the males by the red skin around their eyes. 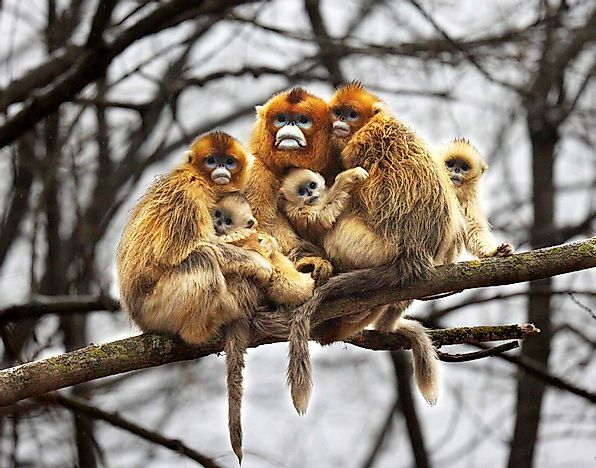 The Golden snub-nosed monkey is also known as Sichuan snub-nosed monkey. This species of monkey is very rare and can only be found Southwest and central China. The Golden snub-monkey has long golden-brown guard hair on their backs. This feature makes it be identified easily. Their name comes as a result of their nose that is unique with no protruding nasal bones. 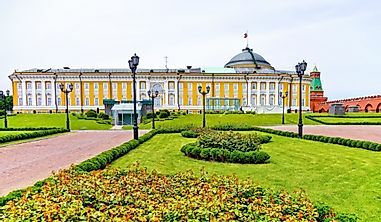 Some scientists believe that this type of nose helps them to avoid frostbites. The size of guard hairs differentiates the male subadults from the female ones. The male adults have more and longer guard hairs than the subadults. The giant panda is part of the bear family. The body of the giant panda is covered by a thick black and white coat. However, black fur is predominant since it covers its long wrist bones, legs, shoulders, muzzles and eyes. These animals weigh up to 330 pounds. They have a tail of about fourteen centimeters that attenuates their 150-centimeter body. They are about 90 centimeters tall. They feed on meat and plants, with the majority of their diet composed of bamboo. One interesting fact about the giant panda is that they spend about 12 hours a day eating. They are majorly found in Southwest China. 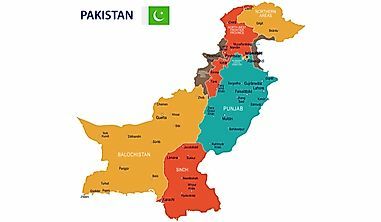 This page was last updated on August 27, 2018. 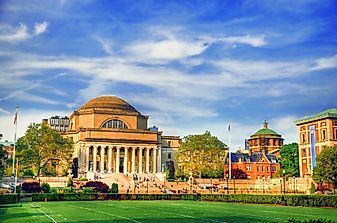 What Are The National Animals of China?